I heard so much good about Roger’s for years that I began my shopping there. Roger advised me excellent, of course! 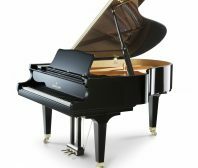 I am absolutely satisfied with my piano and the price I paid. Delivery was prompt, courteous, and excellent. Erik the technician was also excellent. The beautiful looks and tone of the piano make me happy, and I’ll be even happier when I can play well enough for company!